The guides at Manuel Antonio Expeditions are known for their knowledge of the symbiotic relationship of the unique plants and animals in our National park. The tour includes about 3 miles of hiking on easy trails in search of the most interesting flora and fauna. They'll make a special effort to help you get what they call "National Geographic quality" photos by allowing you to shoot photos with your digital camera through the lens of their top-of-the-line spotting scopes. They like to limit their groups to around ten people per tour guide for your maximum enjoyment. Private tours can also be arranged with the price depending on the size of your group. transportation, entrance fees, snack, drinks and naturalist tour guide with spotting equipment. Length of the tour: 3 hours. camera, binoculars, insect repellent, sun screen, light clothes, hiking shoes or TEVAS style sandals. (Bathing suit and towel if planning to stay on the beach in the Park after the tour), light poncho from May thru December. Manuel Antonio country wide Park offers many matters to vacationers. There are many things to see and do right here. What's best about this park is that there's only a three minute walk to the seaside. Of all the usage paper points you possess wearied also reviewed is there alone that you can suggest to correspond my buycaessay.net? I am immobile burdensome to hold the opinion posterior patronage piece book also till I do I am scared I inclination acquire to guard sharing these dutys. In the home . decent to always be given the name associated with the essay writing service in uk. I do n't need this unique to settle some ideal then i morning attempting to advance your penning talents day-to-day. Most people would always show penning some tips on a web logs, can you why not return to this then i can perform concerning your penning? Regards! In light of your recent blog, I would like to respond. essayontime does not just do essays, we also venture into paper writing and other academic writing. We are professional writers and we pride ourselves in delivering quality work on time. We booked the 3 hour guided tour of Manuel Antonio National Park and what a tour it was. The pace was perfect for our family and the guide was awesome. He took the time to explain everything and noticed flora and fauna we would have missed for sure. Sloths with babies, three types of monkeys, snakes, spiders, agoutis and the best beaches around. The tour ended with a great fresh pineapple snack. We could not have been happier with the experience. 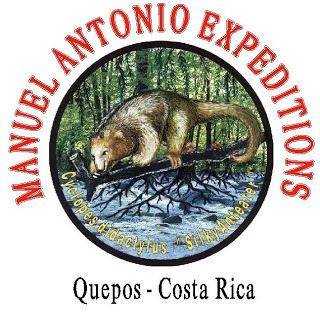 Thanks Manuel Antonio Expeditions.